What do a brontosaurus (or apatosaurus) and a giraffe have in common? The answer is their long necks. Moreover, giraffe is the animals with the longest neck on the planet while brontosaurus was one of the largest land animals known to have ever existed. One or more toilet paper tubes. For each animal you'll need one tube. 1. 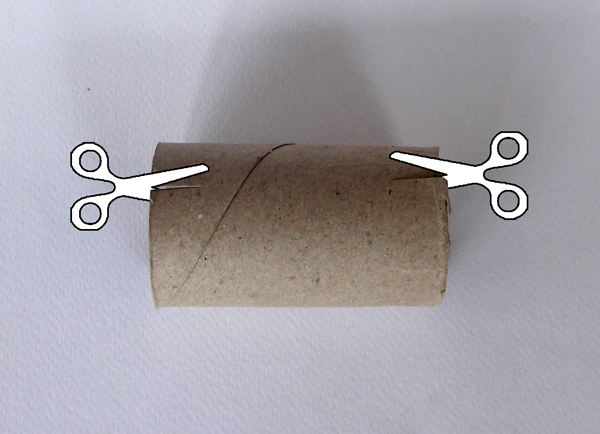 Cut the tube with scissors to make it about 1'' (2cm) shorter. 2. 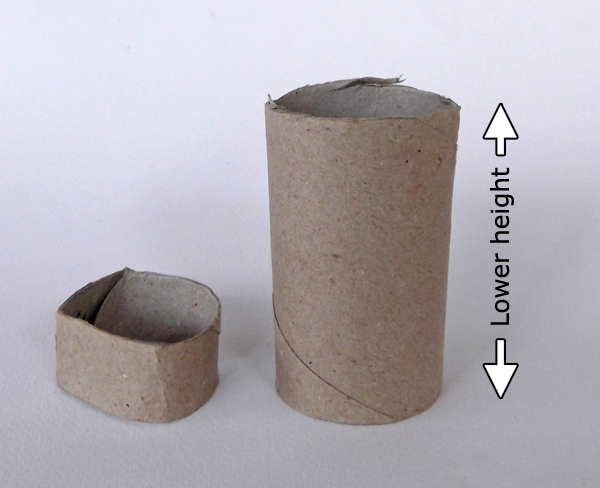 The paper roll must have lower height. 3. 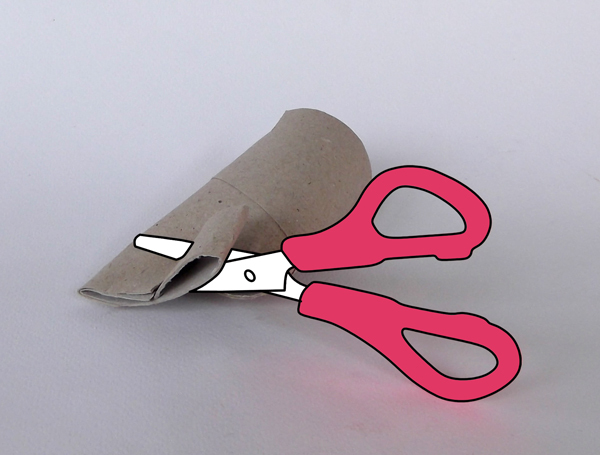 With scissors, cut a slit at each edge of the tube, one slit opposite the other. 4. 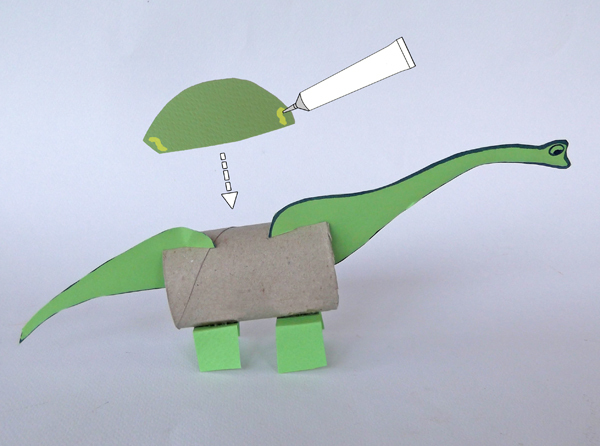 Take a piece of colored paper and draw the tail and the head together with the neck of a brontosaurus. 6. With scissors make two small slits, at the base of the neck and the tail. 7. 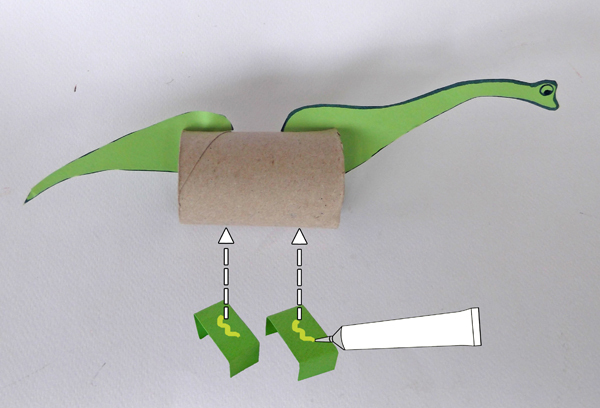 Slide the tail and the neck into each slit on the toilet paper roll. 8. 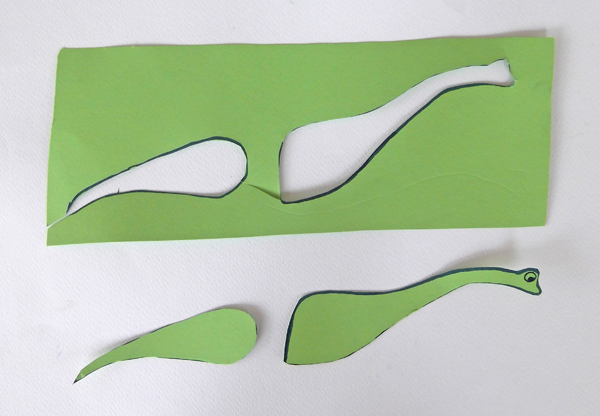 Cut two narrow strips out of the green colored paper and fold them, as shown in the photo below. 9. Glue the folded strips under the animal's belly. 10. 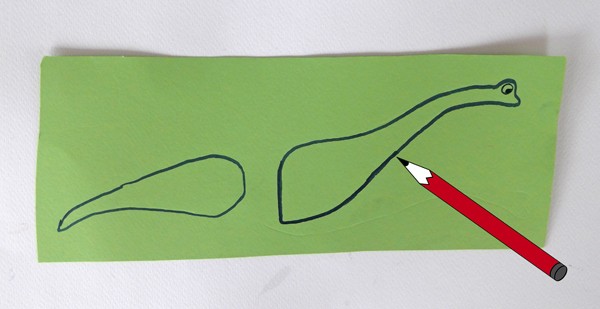 Draw and cut a piece of green paper in the shape of the animal's back. 11. The Brontosaurus is ready. Note: Before you assemble the parts of the animal's body, you can paint the tube with watercolor paints. 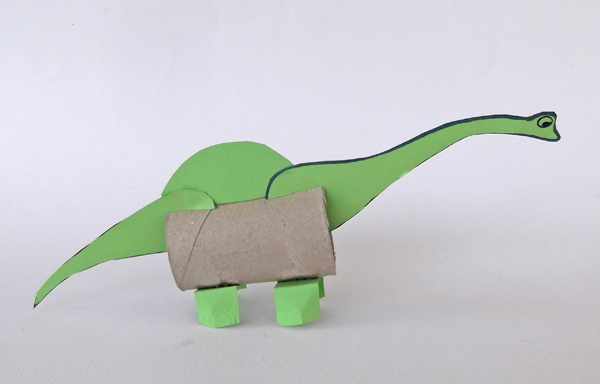 Since you have managed to make the brontosaurus, why not try to make more animals with long necks. 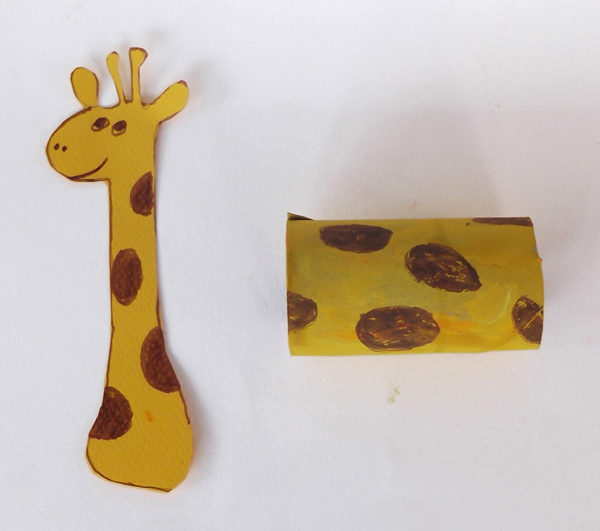 Try for example to make a giraffe. 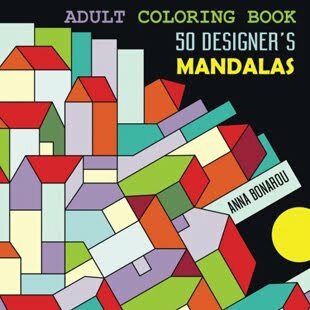 Take a yellow piece of paper and draw the head with the neck. Moreover, with color markers or watercolor paints you can paint the tube and add some brown spots. 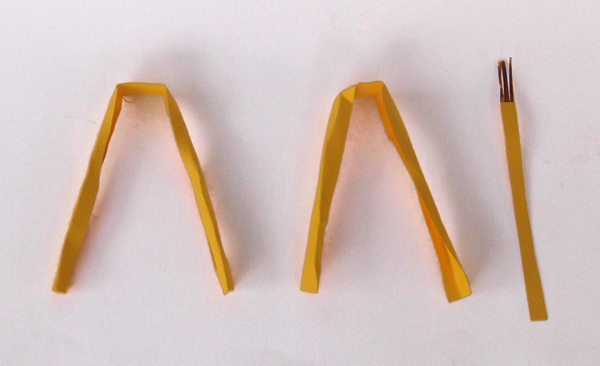 To make the legs, cut two long strip out of the yellow paper and fold them in U shape. To make the tail cut a small strip out of the yellow paper and make some slits at the end of the strip. 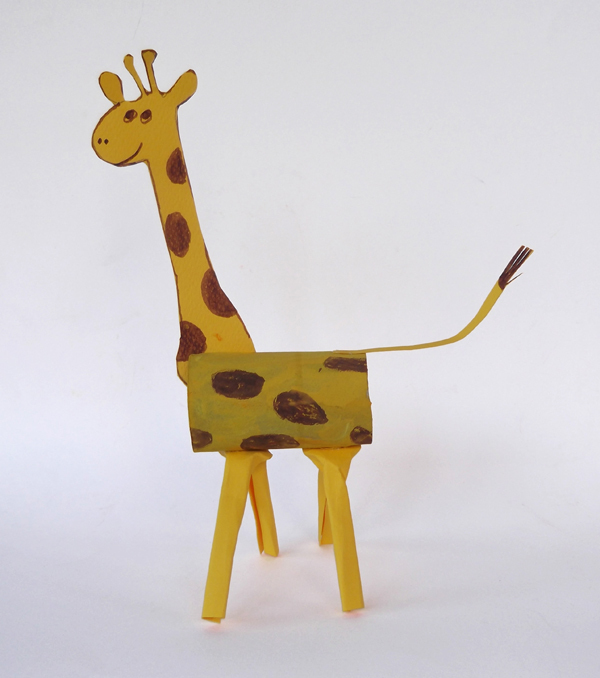 Assemble the parts together, The giraffe will look something like this. In literature and cinema, you'll meet imaginary creature with unusual tails, colors and scary mouths. 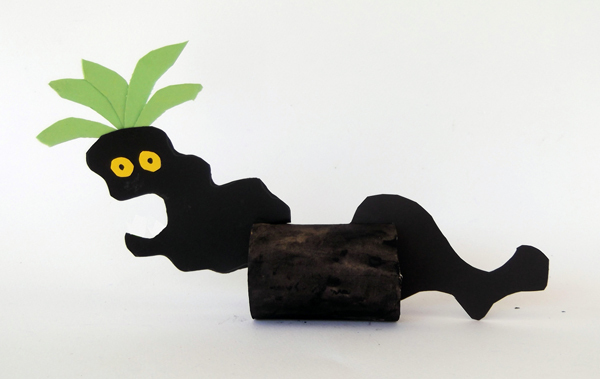 Try to make your own imaginary creatures.